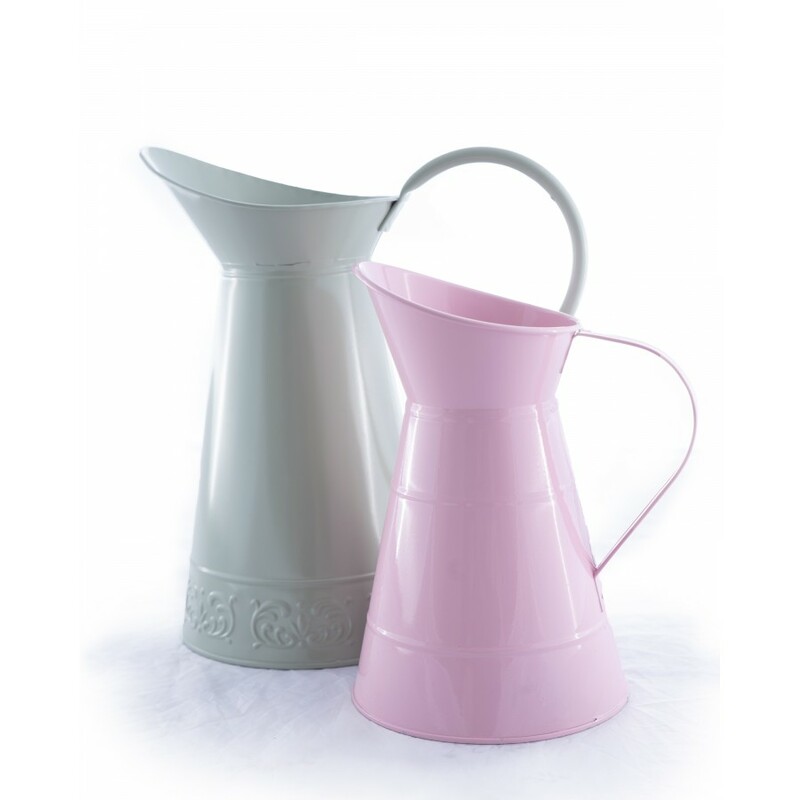 These pastel coloured metal jugs are perfect additions to our bouquet style arrangements. Simply select a small or medium jug and we will present the flowers within this, for an additional keepsake. Alternatively, buy on their own for a home accessory perfect for a shabby-chic styled abode.